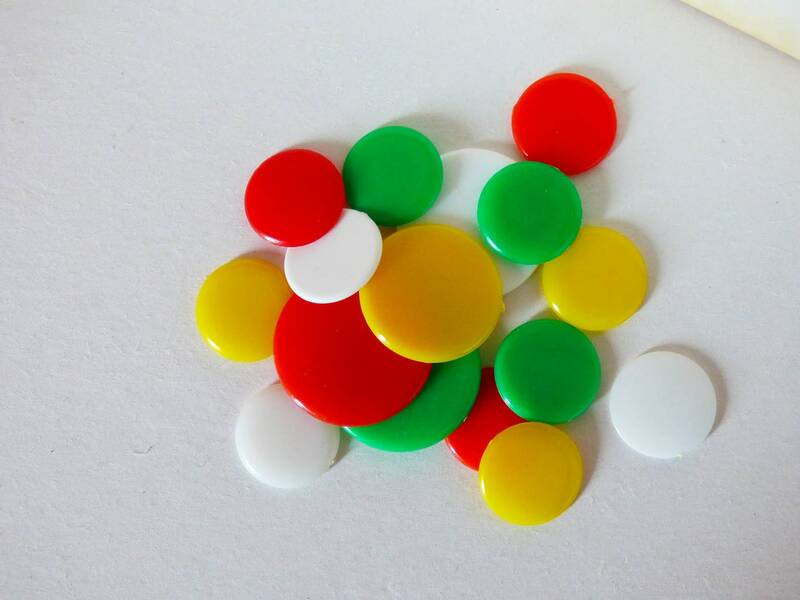 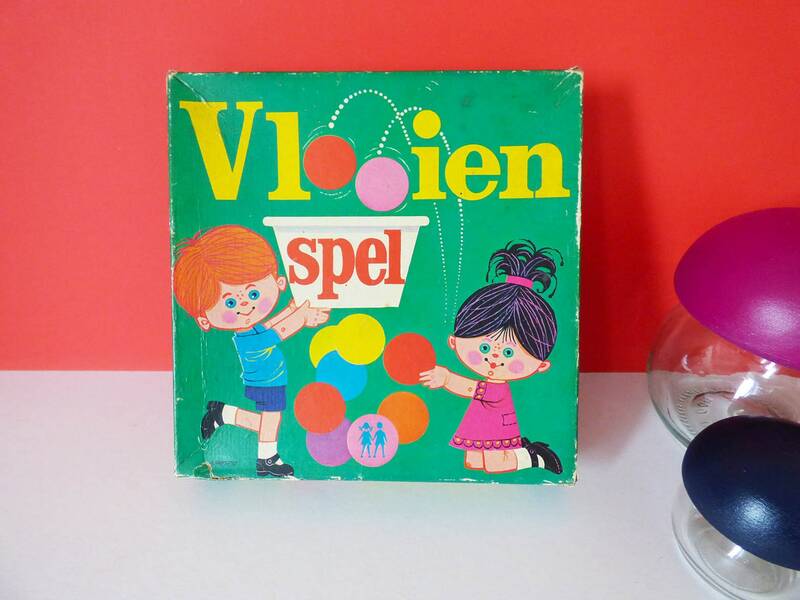 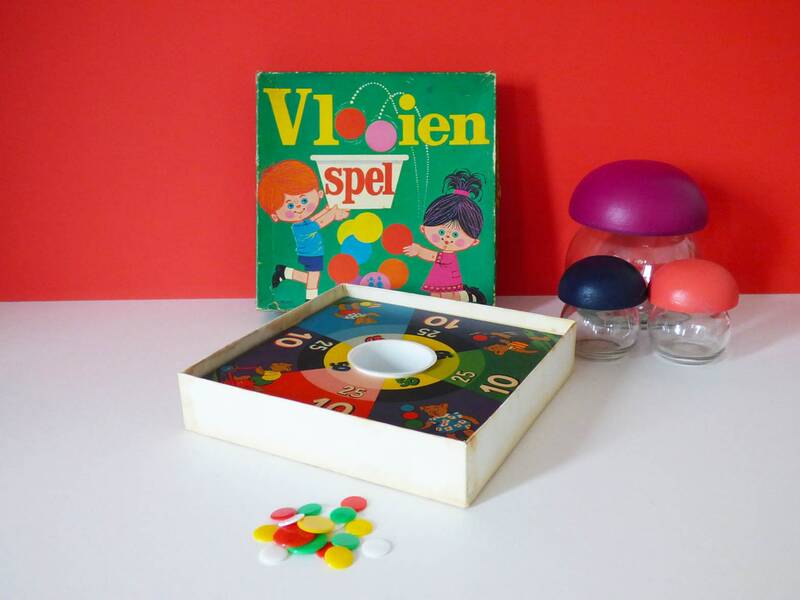 A wonderful classic game of tiddlywinks, from Holland. 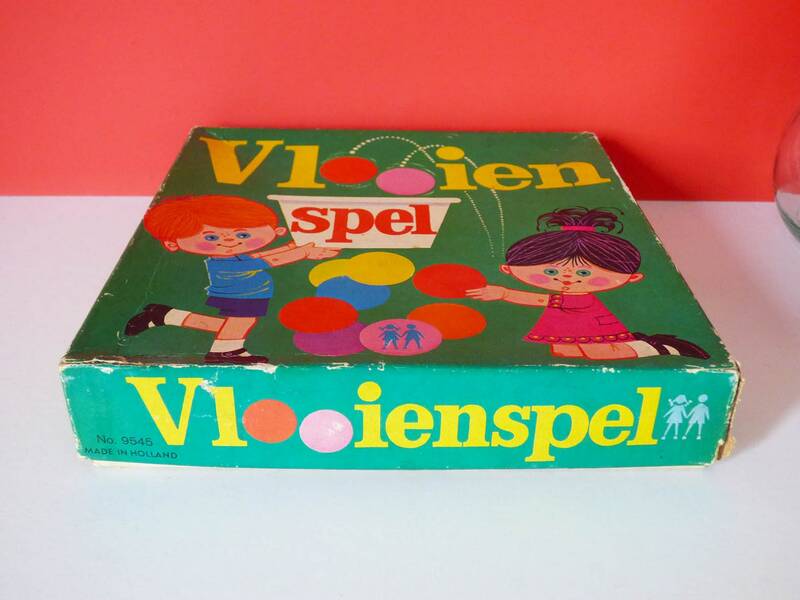 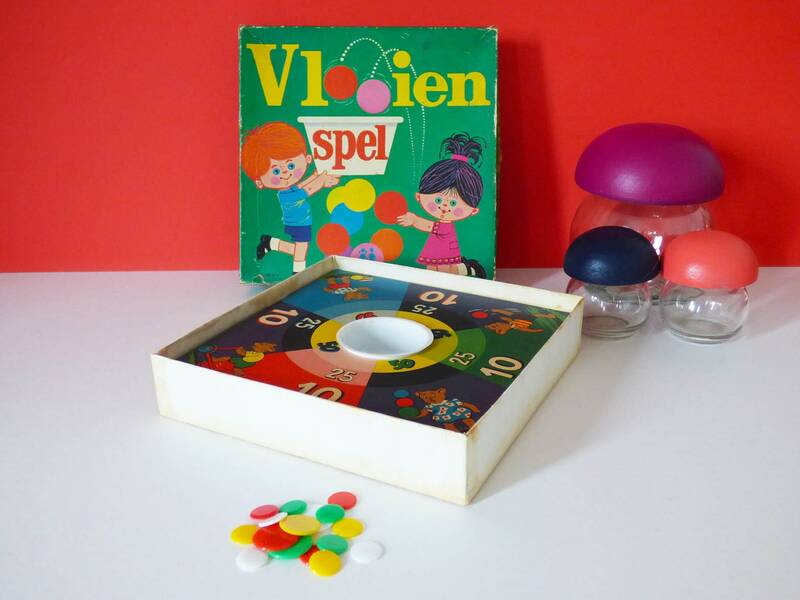 The game is known as Vlooien Spel. 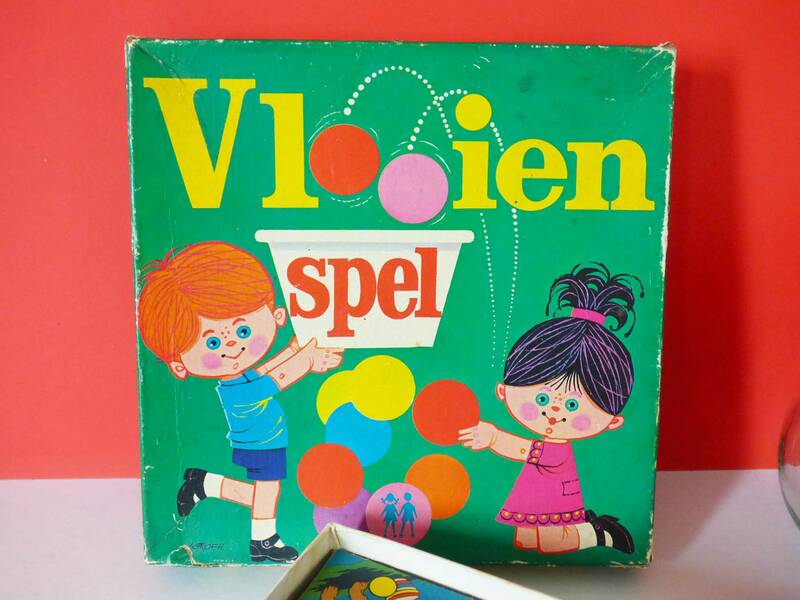 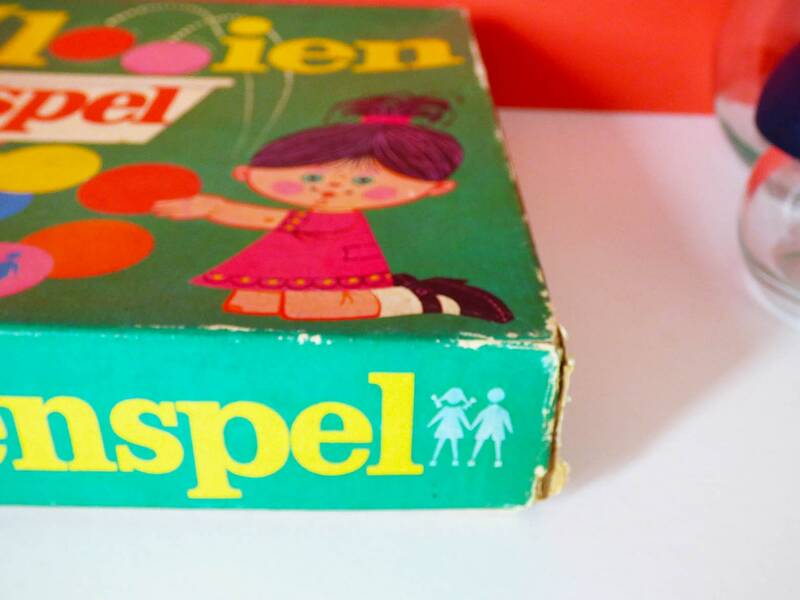 The game has a wonderful illustration of Children playing the game, and although the box is quite worn, this really is a wonderful find, especially if you love vintage graphics. 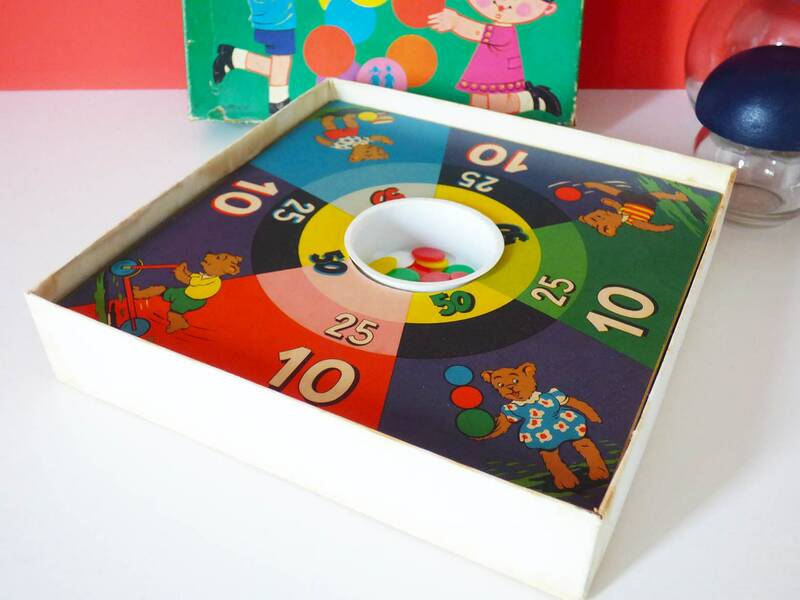 Inside the box you'll find the game simple enclosed in the base of the box, there are several plastic tiddlywink counters, with opportunities to score 10, 25, 50 or in the pot for 100 points. 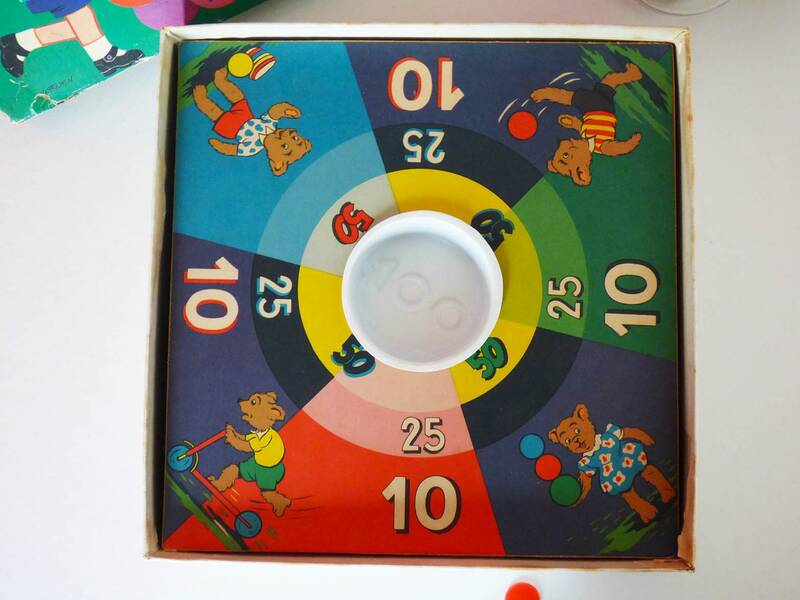 The game and box are well played with, study the photos, the condition is not perfect but there are many years play left in this wonderful game.